hd00:21Paris, France - November 6, 2017:A low angle view of the Arch de Triomphe. It is covered with antique decor, heroic sculptures, arty columns and solemn inscriptions. 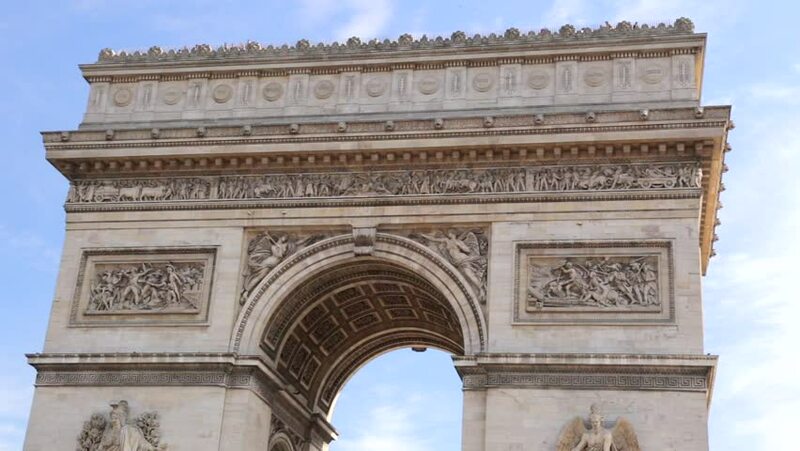 hd00:11PARIS - August 6: Triumphal Arch on August 6, 2016 in Paris. Arc de Triomphe one of most popular place in the world.